Why do we love KEEN Utility? Not only are these awesome KEEN Utility 1014606 Braddock Low Soft-Toe Cascade/Orange Ochre EH Men’s Work Shoes comfortable and tough, they’re also safe and American built with materials from around the world. 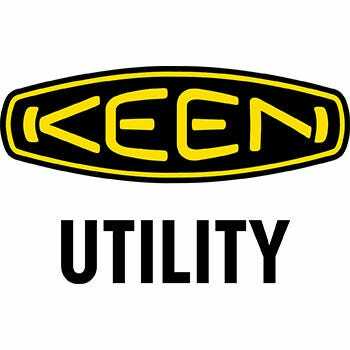 KEEN Utility has been a ... (see full details) (see specifications) #1014606. Why do we love KEEN Utility? Not only are these awesome KEEN Utility 1014606 Braddock Low Soft-Toe Cascade/Orange Ochre EH Men’s Work Shoes comfortable and tough, they’re also safe and American built with materials from around the world. KEEN Utility has been around long enough for us to know they make great and rugged work shoes. A favorite in the hiking and outdoor fun industry, KEEN Utility has taken all that they know about cushioning, traction, and long-lasting materials in rough conditions and added safety standards and the right amount of grit to survive your work day, day after day. Inside the Cascade brown shoes, you have KEEN Utility's unique comfort technology supporting your every step. The integrated heel cushions make each heel strike a little softer on your feet, reducing foot stress and increasing your stamina. The TPU stability shanks are flexible and lightweight yet they add all of the stability you need while you're walking on uneven surfaces. The lining inside these soft toe work shoes is made with performance moisture control material that uses hydrophilic/hydrophobic 2-zone technology to draw sweat away from your feet and manage it so you can enjoy more comfort all day long. The design of these EH slip-resistant shoes renders them incompatible with aftermarket insoles or orthotics. KEEN Utility's iconic rubber toe guards protect the front of these durable Braddock low-cut shoes from the increased wear and tear of your day. The low profile cut is athletic and offers the most range of motion possible for your ankles. The supportive lacing system draws in the heels for the best fit all the way around your feet. Padded collars on the KEEN Utility shoes ensure the best fit and comfort, while the finger pulls at the back make it easy to get these men's shoes on at the start of your day. An extra layer of protection at the back of the heels also makes it simple to get the KEEN Utility footwear off, too. Finally, you get the high-quality KEEN Utility outsoles that are ASTM F1677-96 Mark II non-slip tested and approved. These non-metallic shoes are also ASTM F2892-11 EH approved for safety in certain electrically hazardous conditions. So bring top-quality, American-built toughness and infamous comfort along with your day with these KEEN Utility 1014606 Braddock Low Soft-Toe Cascade/Orange Ochre Men's Shoes, which are available right here at Working Person's Store. KEEN Utility Shoes: 1014606 Braddock Low Soft-Toe EH Cascade/Orange Ochre Men's Shoes is being added to your cart.